Special introductory price available before May 1st! With the speed of life today, it’s hardly surprising that so many of us feel rushed, overwhelmed and unable to relax. When we’re moving fast and thinking fast, ‘speedy energy’ takes over and our levels of stress and anxiety rise – and this can have a negative effect on our health and well-being. In this online course, you will learn some simple awareness and breathing techniques to help you bring more calm, clarity and connection into all of your daily activities. The course is guided by Adam Kane, an experienced meditation teacher who specialises in sharing ways to work with our speedy energy. These practices enable us to be productive without stressing out or burning out, and to feel more grounded, relaxed and connected to others – especially when we’re busy! * Learn how to work with stress, pressure, anxiety, ‘speedy energy’ and technology/information overload. * Discover ways to take better care of your health and well-being. * Learn to calm your mind and transform your emotions, bringing more stability and peace of mind. * Find a different way to be – with yourself and in your relationships with others. * Gain practical tools for your daily life, particularly when facing challenging situations. * Learn to rest and relax, without losing the ability to be productive and to think and move quickly. * Explanatory videos and guided meditations from Adam Kane. A summary of key points from each session. Support from experienced instructors during the course. Advice to help you establish a simple, regular practice routine. * The course is divided into 5 sessions and designed so you can follow at your own pace. * You will have 24-hour online access from your mobile, laptop or PC, enabling you to view sessions, videos, etc… as many times as you wish. * You will have three months to cover all the materials, with the possibility of an extension if you need more time. * You will receive emails to support you during the course, and can communicate with your instructor via email whenever you need help or guidance. * Session 1: An introduction to the way stress manifests in our body and mind, and an overview of the techniques that we will learn. * Session 2: Learning a breathing technique to work with the speedy energy in our body. * Session 3: Using awareness to connect with our body and our energy. * Session 4: Combining breathing and awareness to reduce stress and calm our speedy energy. * Session 5: Integrating the practice into all aspects of our daily life. * Discounts will only be available until April 30th, 2019. ** You can also do the payment through Paypal, using the button a the bottom of this page. Bodhi began with a group of friends who had discovered for themselves the benefits that meditation can bring. We were introduced to meditation by some amazing teachers. But after many years of practising meditation, we know from experience that it's not always easy to keep up the habit and to take mindfulness and awareness into our life. So we created Bodhi – bringing together leading meditation teachers, scientists and experts. Together we're finding effective ways to support each other to live each moment with a clear mind and an open heart. 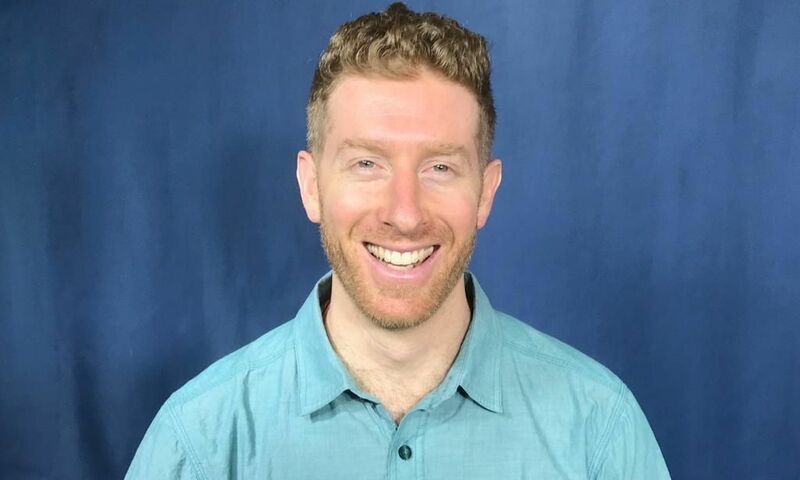 Adam Kane: Adam graduated in neuroscience and has studied and practiced meditation for the last 18 years under the guidance of a number of leading teachers. He has also completed a master’s degree in Buddhist philosophy. Adam’s teaching style is clear, to the point and perfectly suited to the challenges that we face in our lives today. He is an expert in sharing ways to calm the mind and transform the ‘speedy energy’ that contributes to so much of our stress, agitation and anxiety. Working with stress and speedy energy: Simple awareness and breathing techniques to help you bring more calm, clarity and peace of mind into all of your activities. Tu nombre completo, dirección y número fiscal son necesarios para que generemos tu factura. ¡Gracias! If you need an invoice from us, please write here your first and last name, your address and your tax number. ¡Thank you!